You are viewing a brand new Just Cavalli Long Sleeve Tops Size 54. 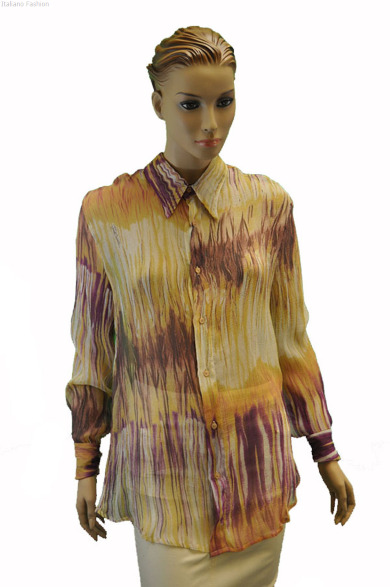 This Long Sleeve Tops is elegantly designed with fluid extraordinarily smooth fabric (Silk100.00%). Please see additional pictures for original tags and other beautiful details. This is a great deal for a brand new Just Cavalli Collection item - 100% AUTHENTIC. All items are photographed live in our studio and individually pre-measured for your best fit.